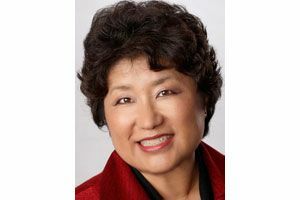 Former Shoreline Mayor Cindy Ryu is the best choice to represent the district, which includes Shoreline, Edmonds and Lynnwood. Voters in Legislative District 32 — which includes Shoreline, Lynnwood and Edmonds — should re-elect Cindy Ryu to state House Position 1. Ryu, a Democrat, is a former Shoreline mayor and small-business owner who was first elected in 2010. This editorial board endorsed independent candidate Keith Smith during the primary because of his fresh perspective and experience advocating for juveniles and social-service reforms, but he failed to advance. Ryu now faces Republican Diodato Boucsieguez, a recent college graduate with little experience beyond involvement with partisan activities on campus. Strengths: Ryu is a member of House committees on the capital budget and community development, housing and tribal affairs. She is an active and visible member of the community, and her campaign is an opportunity for voters to discuss any concerns about taxation and spending. Ryu is clearly the better choice, especially if she applies her concerns about fiscal management during the next term. Having largely finished McCleary education-funding reforms, legislators are now facing a backlog of other spending demands. Yet economic growth — and state revenue growth — are expected to slow in coming years, which will test the will of Democrats likely in the majority to limit spending and prepare for leaner years ahead. Ryu has influence in this area as a member of House committees on the capital budget and community development, housing and tribal affairs. Ryu is an active and visible member of the community. Her campaign is an opportunity for voters to discuss any concerns about taxation and spending. They should also remind Ryu, who last session joined the pack of legislators that voted to partly exempt themselves from the state Public Record Act, that the people of Washington demand open government.